Here is our secret to working with big events and festivals, we always bring our best and make a hit with the promoters and with the crowds. That means the best looking display, the best service and the best product. We offer over 100 different flavors to choose from to build your event menu. 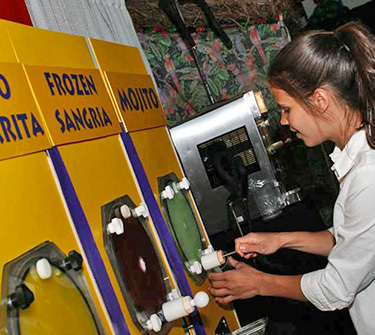 Over 15 year of experience allows us to advise you and tailor your frozen drinks to fit your audience. Participants love our frozen drinks and event planners and managers love the financial success that we bring to their events. We will help make you and your event look great with our branded (or customizable) full service booths. 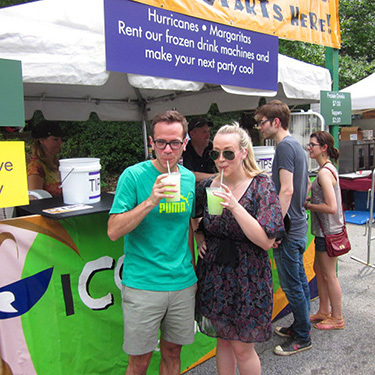 If you have attended the Annual Music Midtown or events at the Chastain Park Amphitheatre you have probably already seen our clean, fun, great looking frozen drink locations. Our high capacity drink delivery systems can handle ANY size crowd. 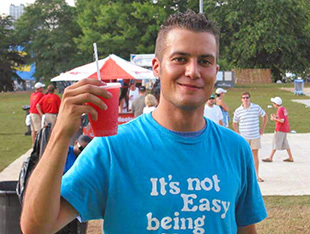 Keeping the crowd refreshed at a recent music event required 10,000 frozen drinks in one weekend! Festival and Event planners know they can count on us to handle the job from set up to super fast production and serving capabilities. We are prepared for anything and have a great track record with many major venues. Our drink machines will not break down during the event. We are prepared with the technology and experience to adequately prepare for your event ensuring that everybody who wants a drink gets one. Our delicious frozen flavors and quality mixes make these drinks a hit every time. Sure beer and wine are fine, but nothing says FUN like a flavorful frozen concoction from the Cool Daddy's division of Slushie Spot. Call now at 404-352-9996 to learn more.